Train to be a secret agent at Beaulieu this May half term from 25 May to 2 June, completing cunning challenges to follow in the footsteps of the World War II agents of the Special Operations Executive. Follow your training journal map to try out disguises, test your skills of observation and problem-solving, use codes to decipher secret messages, learn about rationing and graduate as a fully-trained SOE agent. 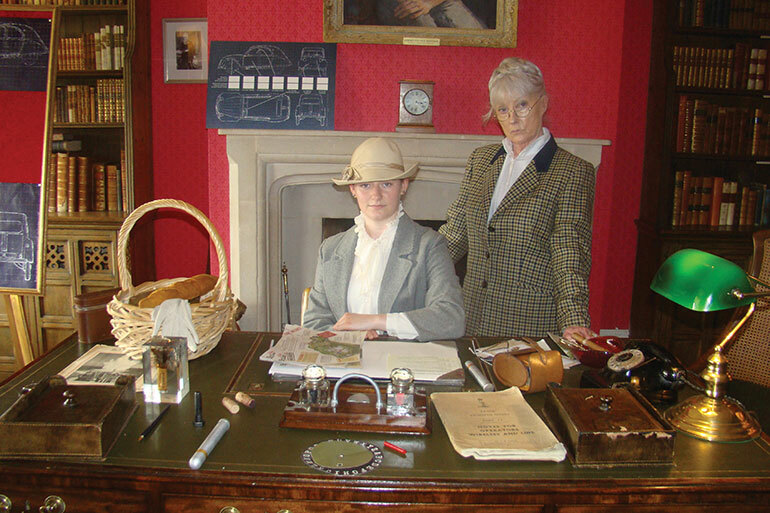 Make contact with your Commanding Officer in the SOE headquarters at Palace House and inspect household items that hold remarkable secrets, then talk to Lord Montagu’s cook about wartime rationing. All of the activities are included in the general admission ticket to Beaulieu, which includes entry to the National Motor Museum, World of Top Gear, On Screen Cars, Palace House, Beaulieu Abbey and the grounds and gardens. For tickets and details see www. beaulieu.co.uk or call 01590 612345.
mags4dorset has teamed up with Beaulieu to offer two family tickets as prizes, which are valid for two adults and up to three children, or one adult and up to four children. For your chance to win a family ticket to Beaulieu in time for the May half term, all you need to do is answer the following question. Who at Beaulieu can tell you about wartime rationing?